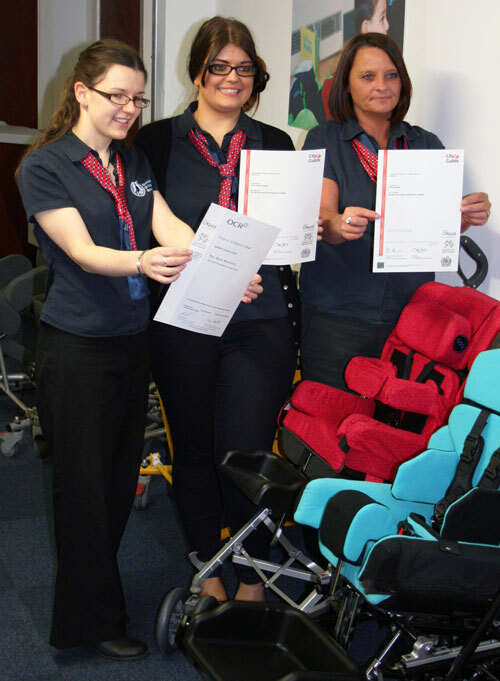 We are pleased to offer our congratulations to Sarah, Cara and Jill based at our office in Tutbury who have successfully achieved an NVQ in Customer Service from levels two to four. These were in conjunction with Burton and South Derbyshire College and Stephenson College. The course helps to develop skills in customer relations, communication, resolving customer services problems and building customer relations. At SOS we strive to offer the best possible service to our customers and help our staff achieve qualifications to support their long term career aspirations.